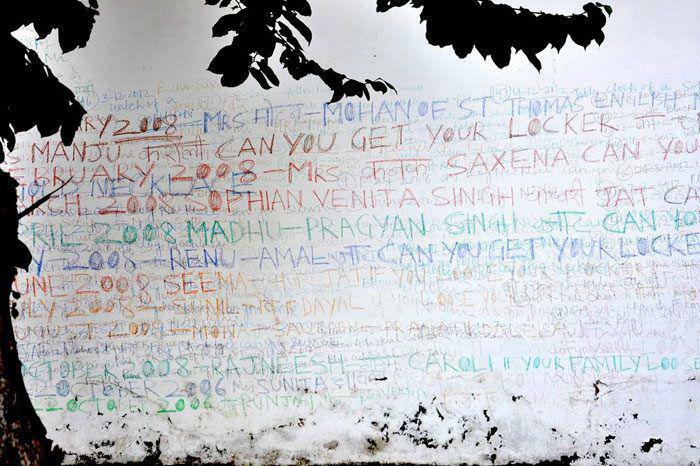 If you go about the streets of Meerut, you might chance upon what at first glance appear to be random words scribbled on walls, in the cantonment area or maybe outside a police station. It looks like meaningless graffiti at first, but actually, it has quite a chilling story behind it - that of a distraught woman dealing with emotional trauma and grief. 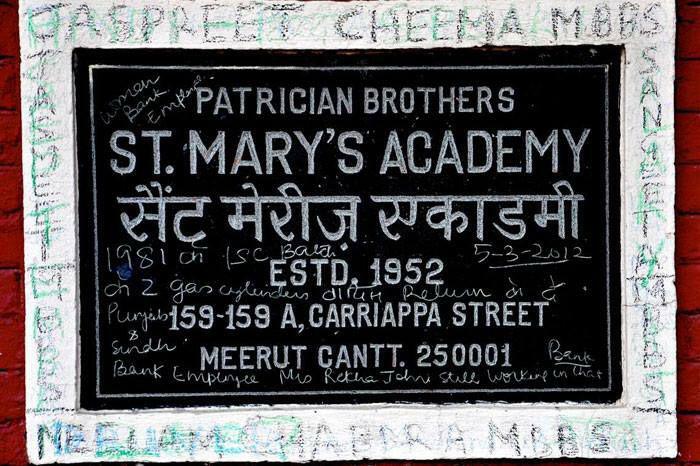 Driving around her hometown of Meerut one summer, photographer Palak Mittal came across these frantic scribblings on the walls. Confused and intrigued, she began asking around, trying to dig deeper into the story. 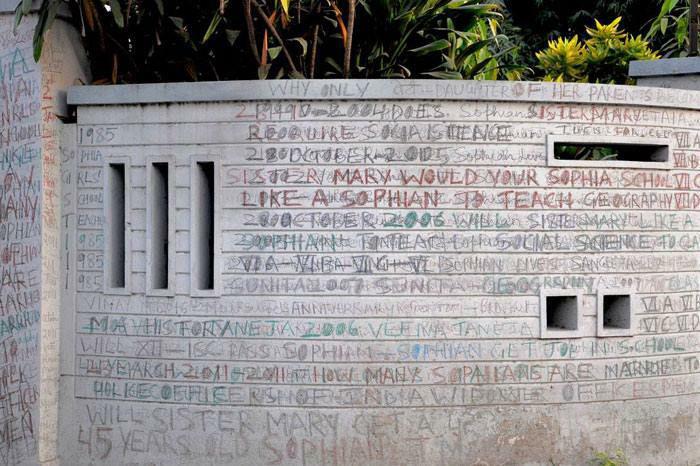 She was met with many rumours about how the scribbles were drawn by an English teacher at the local convent school, who had gone rogue after being deserted by her husband. However, after further investigation and talking to family and relatives around, Palak finally uncovered the truth about who the woman really was and the unfortunate series of events that led her to this very public expression. The sole breadwinner of her household, the woman, who shall not be named, behind Meerut’s mysterious scribblings had been forced to rise to the occasion and forego her own needs and aspirations in order to take care of her ageing parents. After the death of her father, the situation worsened as her mother began to grow more dependant on her. After her mother too passed away, the woman was found two days later, sitting with the corpse. “After having lost her parents she was just really mad at the world around her because she had no one to help her and she was bitter for not having done anything for herself. Such a shock led her to a mental breakdown where she just blamed the world for all that had gone wrong. She was mad at her parents for being selfish, she was mad at her relatives for taking advantage of the opportunity and she was mad at her peers for not helping her,” Mittal tells us. 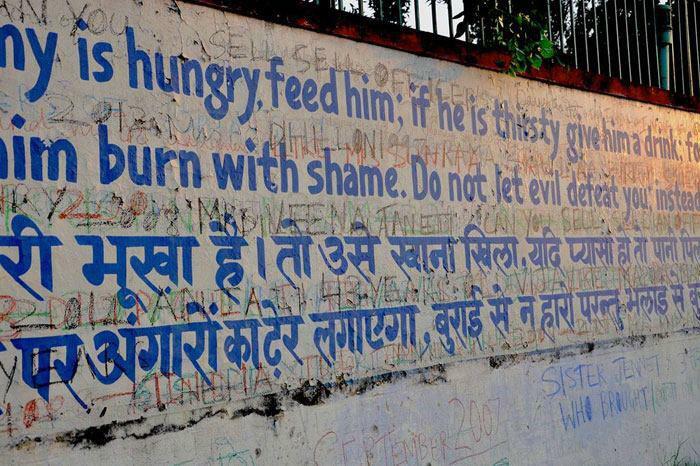 One can’t really make sense of the words on the walls of Meerut. They are angst-filled, disjointed phrases scrawled across walls. They are unnerving, an insight into a troubled and frustrated mindscape, in a place where probably no one could empathise with her pain and mental anguish. With no outlet, she unleashed her trauma on the walls of the town, writing and overwriting her grief in an attempt to tell her story. Captivated by these walls and the unspoken stories they seemed to contain, Mittal decided to photograph and put together a photo series called The Woman Who Conquered Town. She believes that the walls are a tangible, visually powerful representation of the woman’s deteriorating mental health, ignored by the rest of the town who dismissed her as ‘paagal’. “At the time I was in art school experimenting with different artistic mediums. I felt photography was the best way to showcase the magnitude of the story. It served as visual evidence. If I were to bring up this incident in a conversation nobody would be able to estimate the extreme degree the woman went to”, says Mittal. However, what struck the photographer, even more, was the casualness of how the residents of Meerut observed the woman’s behaviour. “I think mental health needs to be spoken about. Most often it can’t be seen and that’s why people don’t give enough importance to it. It’s not tangible. But I do hope that the evidence of this story makes everyone look at mental health issues in a new and different light”, Mittal tells Homegrown. Finally, after years of suffering, the woman has received the kind of care and attention she desperately needed and deserves. Mittal tells us about how the lady is slowly, but surely, getting better. And even though things are starting to look up, one can’t help but ponder over how easily she was dismissed as the ‘beggar-looking woman’ roaming the streets with a bag full of crayons. 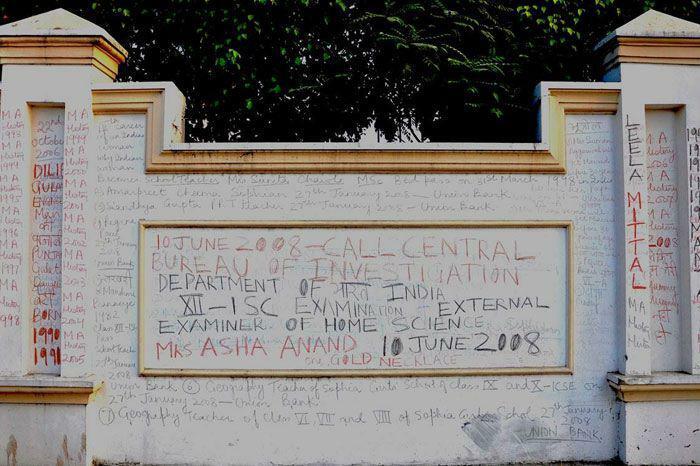 How people simply repainted the walls and moved on with their lives, but she kept coming back to write on them over and over again, in the hopes that someone would listen to what she has to say. You can see the entire photo-series on Palak Mittal’s website.